“Breaking ranks is a cardinal sin in the EU,” Mr. McCoy told The Telegraph before the fourth round of Brexit negotiations begins on Monday. “You must fit the mould,” he said. The whistleblower suffered 17 years of intimidation and harassment for refusing to sign off ‘cooked accounts’ at the EU regional assembly, the Committee of the Regions, which resulted in the 67-year-old being diagnosed with Post-Traumatic Stress Disorder and being forced to leave his role as a financial controller. “I discovered fraud in the hundreds of thousands but that was just the tip of the iceberg, it could easily have run to millions,” he told the newspaper. 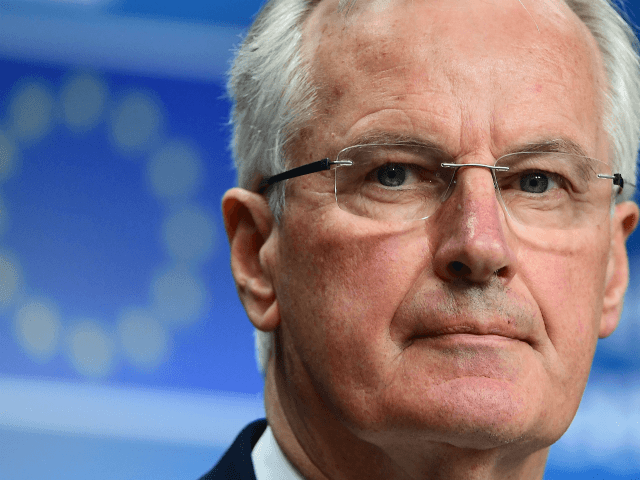 Negotiations are set to resume Monday between Secretary of State for Exiting the European Union David Davis and the EU’s Brexit negotiator Michel Barnier. Prime Minister Theresa May offered a 20 billion euro divorce settlement to the bloc, but the EU is thought to be pushing for 100 billion euros. “Why should we be giving money to an organisation that has shown itself to be incapable of dealing with fraud and waste?” asked Mr. McCoy. “They are immune to embarrassment and the system is almost impossible to reform,” he added. McCoy, who found “systematic and flagrant incompetence” at the Committee of the Regions in 2000, compared it to the UK Members of Parliament expenses scandal, but noted at least the UK had taken action. “The EU is a sacred cow that can’t be criticised. I was told this was the sort of thing that people would use against Europe, even that it could stop the EU getting new members,” said Mr. McCoy. Mrs. May delivered a speech in Florence on Friday, clearly directed at a European audience, where she stated her intent to keep the UK in the EU for a transitional period of two years until 2021 after the country has formally left the bloc in late March 2019 and left the door open to paying the significant Brexit bill. Brexit leader Nigel Farage has blasted Theresa May’s Florence speech as a betrayal, telling Breitbart London: “May’s vision for Brexit Britain is that we leave in name only and that all current arrangements, the status quo, is simply to be rebadged.